We have been using New Relic for many months as a vital resource to keep an eye on the performance and health of our systems and our clients WordPress sites. If you don’t know what New Relic does, think of it sort of like the P3 Performance plugin on steroids, with rockets, and plated in 24k gold. Here at Pagely we also pre-install the W3 Total Cache plugin, or what is called the WPO Framework. Not so much for the caching since our system does much of that on a global scale, but because it is a solid optimization framework that allows users fine grain control on settings. Frederick Townes author of W3TC did a great guest post on the NewRelic blog regarding WordPress Performance Optimization. Pagely + w3TC + New Relic = You finally know why that page took 10 seconds to finish. 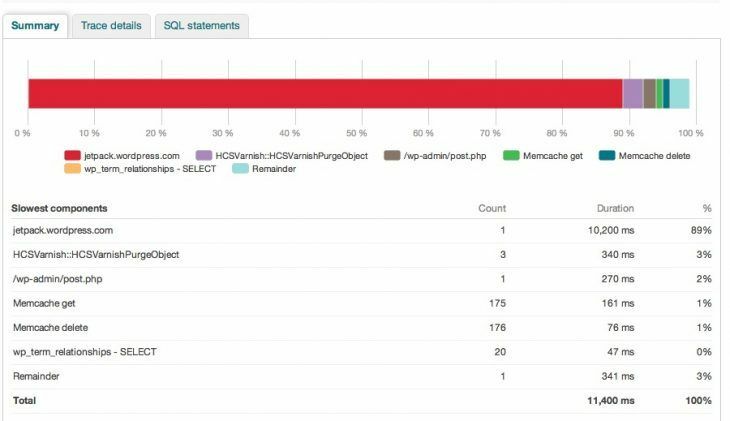 If you have seen the recent release of W3TC, you’ll notice a new New Relic pane that will provide you some basic information on the performance of your WordPress instance. Simply grab yourself a New Relic account, plugin you API key and start learning what is going on under the hood of your WordPress install. This is just a snippet of information. 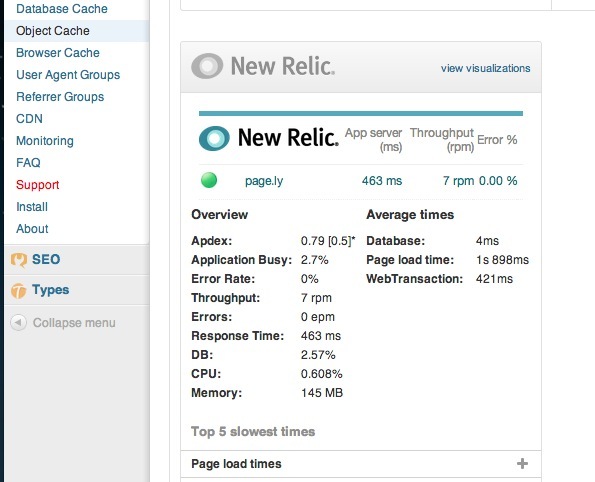 Log directly into New Relic and you can really drill into the performance of your application. We will also be embedding some performance graphs within your Atomic management panel in the near future. Due to our partnership with New Relic we’ll begin provisioning accounts for all business and enterprise customers. Host your WordPress here and get this awesome benefit.